Tax is always an ideological hot button. Those key equations tax = bad and tax cuts = good have been hammered into our brains over the past three decades in much the same way that the virtues of egalitarianism were taken for granted by a previous generation. In its attitudes to tax, New Zealand has been the last colonial outpost of Thatcherism. Change, however, may be in the air. A fortnight ago, the political year kicked off with National announcing its plan to subsidise tax payers against the effects of inflation, and thereby stop the dreaded ‘bracket creep’ that sees people being pushed by inflation into higher tax brackets while their actual purchasing power remains static, or even in some cases, declines. In reality, it was National’s same old tax cuts package, but in less toxic packaging this time. On the other side of the political fence, Sir Michael Cullen’s Tax Working Group has just delivered to government its final report, which is due for a public release in a couple of weeks. The TWG is widely expected to recommend a meaningful capital gains tax, an innovation that has been decades overdue. The report may also suggest – the findings are non-binding – that a capital gains tax could be made revenue neutral by exempting the first $10-14,000 of earnings from income from tax altogether. Much media energy will be expended on guessing how much revenue the new capital gains tax might generate. And/or how it could be avoided. While that’s interesting, it isn’t really the point. One major reason for instituting a meaningful capital gains tax is to ensure that all ways of generating wealth contribute their fair share to the general good. People who routinely pay income tax on their wages should be welcoming the prospect that at long last the fortunate few who make their money from capital gains are going to be treated the same way for tax purposes as wage-earners have been for decades. Lest we forget, taxes are also a positive social mechanism. Progressive taxation (a) sends key signals as to where resources should be allocated (b) mitigates income inequality, and (c) provides the state with the necessary funds to distribute where they will do most good; eg to fund social services, to support those most in need, to build infrastructure, and to invest in enterprises that offer long term social and economic benefits. Tax cuts on the other hand tend – at best – to deliver only a sugar fix that fuels consumption, while wasting the opportunity for productive social investment. Look no further than how Norway saved its oil earnings and created a massive trillion dollar investment fund for the long term benefit of all Norwegians – while Britain, in line with the Thatcherite dogma of the time, wasted its North Sea oil earnings on tax cuts. It isn’t very hard to see which country has been left in better shape today by its tax and savings policy. Between 1986 and 2001, the company tax rate in Australia was reduced from 49% to its current level of 30%. At the same time, infrastructure privatisation policies handed responsibility for substantial areas of investment over to the private sector. The outcome, documented in a recent address by Reserve Bank governor Guy Debelle, has been a steep decline in private business investment, briefly interrupted by the mining boom. As Quiggin also pointed out in December, the round of fresh corporate tax cuts being p[toposed by PM Scott Morrison would benefit the average Australian by .1% (ie. a couple of dollars a week for households earning over $100,000) and would take about 25 years to materialise. In other words, tax cuts tend to be of social value and complement a range of predatory practices. Here in New Zealand we have still experiencing the fallout from nine years of a National government fixated on tax cuts as the ultimate political good. The result has been a collapsing public health system, an underfunded education system that is driving half its recruits out of the profession, an unaffordable housing market and soaring levels of student debt. Faced with these symptoms of neglect, what would National have delivered if it had been re-elected in 2017? Another sugar fix, in the form of a further round of tax cuts. Thanks to Winston Peters, we dodged a bullet on that one. Last month, the debate over tax rates and tax cuts kicked into life again overseas as well. 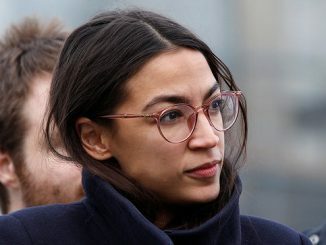 The recently elected New York congresswoman Alexandria Ocasio-Cortez (AOC) has called for a 70% top tax rate in the US on income over $10 million – mainly in order to help fund the process of de-carbonisation within the US economy, under a so called Green ‘New Deal’. Fox News, already obsessed with AOC, went apopleptic. As did some in the Republican Party who – whether out of malice or ignorance –reacted as if she were calling for a 70% tax rate on all income. This doesn’t mean that tax avoidance wasn’t actively pursued during that golden period, especially by wealthy entertainers like Bing Crosby and Frank Sinatra, who reportedly used real estate and oil industry investments to shelter their incomes. (Boxers like Joe Louis who didn’t have good tax advisers, ended up with huge tax bills that made them paupers in their old age.) Back during this heyday of US commerce, CEOs were not paid very much, so had little incentive to seek tax shelters. It has been an interesting sidebar to history that as the US economy has receded in global importance, the salaries of its CEOs have vastly increased. One little-noted aspect of the cutting of the top tax rate and the flattening of the tax brackets is that people in New Zealand who earn $80,000 and people who earn $500,000 tend to be taxed at the same rate. That not only seems unfair, but sends the wrong signal to those setting the remuneration for the top tier of earners. Just as there is no causal link between tax cuts and economic growth – there are plenty of historical examples of tax hikes and growth spurts going hand in hand – there is even less evidence that CEO pay is a precursor of, or reward for, improved economic performance. Taxation affects the allocation of talented individuals across professions by blunting material incentives and thus magnifying non-pecuniary incentives of pursuing a “calling.” Estimates from the literature suggest high-paying professions [lawyers, financial traders] have negative externalities, whereas low-paying professions [nurses, teachers, scientists] have positive externalities. In other words, if you don’t seriously tax the rich and simultaneously address the effect of marginal rates on middle incomes, you channel people towards socially useless or socially damaging professions, and starve the rewards available for socially useful occupations. So far, National’s tax indexation solution for middle incomes addresses only one half of that problem. For an accessible argument in support of AOC’s proposal, this recent New York Times article by the Berkeley economics professor Emmanuel Saez makes it clear that she is NOT making a simplistic ‘soak the rich’ argument. What if we take into account the reality that markets aren’t perfectly competitive, that there’s a lot of monopoly power out there? The answer is that this almost surely makes the case for even higher tax rates, since high-income people presumably get a lot of those monopoly rents. So AOC, far from showing her craziness, is fully in line with serious economic research….Her critics, on the other hand, do indeed have crazy policy ideas — and tax policy is at the heart of the crazy. You see, Republicans almost universally advocate low taxes on the wealthy, based on the claim that tax cuts at the top will have huge beneficial effects on the economy. This claim rests on research by … well, nobody. There isn’t any body of serious work supporting G.O.P. tax ideas, because the evidence is overwhelmingly against those ideas. Why do Republicans adhere to a tax theory that has no support from nonpartisan economists and is refuted by all available data? Well, ask who benefits from low taxes on the rich, and it’s obvious. And because the party’s coffers demand adherence to nonsense economics, the party prefers “economists” who are obvious frauds and can’t even fake their numbers effectively. Which brings me back to AOC, and the constant effort to portray her as flaky and ignorant. Well, on the tax issue she’s just saying what good economists say; and she definitely knows more economics than almost everyone in the G.O.P. caucus, not least because she doesn’t “know” things that aren’t true. Exactly. New Zealanders, on the other hand, have been schooled since the mid 1980s to believe things about tax policy that aren’t true. Like reggae, country music derives much of its power from making tweaks to a limited set of templates. That’s why say, the likes of Kacey Musgraves can sound so fresh while not really straying all that far from the source. Last month, the Texas country singer and songwriter Robert Earl Keen celebrated his 63rd birthday. Over the course of a long career, I think he’s never written a better song than “The Road Goes On Forever…” which is a highly concentrated short story set in song form.